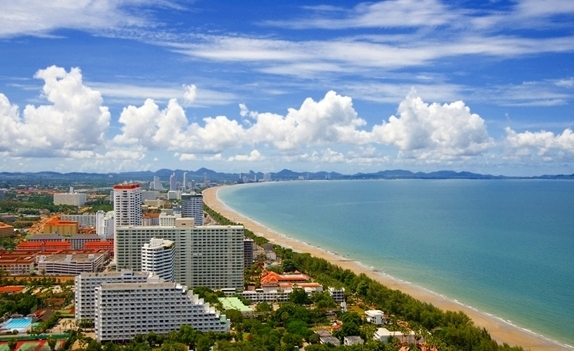 Pattaya, Thailand is one of the most popular destinations among travelers. Tourists visit Pattya to enjoy its colouful beach culture, nightlife. Even if you are coming with your family and want to keep yourself aside from dirty beach and nightlife, there are many things to do in Pattaya like deep sea fishing, sailing, diving, elephant trekking and many more. You can also visit Buddha Hill (Khao Phra Tam Nak),which is one of the highest points in Pattaya. And the best thing is that you can enjoy your holidays for a much cheaper price in Pattaya. Here in this post we are going to write about top 5 best budget hotels in Pattaya. As Pattya has many hotels, so the competition among the hotels to provide good facilities at cheap price is very high. Our list contains some of the best Pattaya budget hotels, where you can get swimming pools, all necessary recreational facilities for a very cheap price. Now it’s time to have a look at the list. If you are looking for the perfect budget hotel in Pattaya, I suggest you choose this one. Rooms are clean and big. And all are decorated with modern amenities like air conditioning, Wi-Fi internet access, HD TV, a private bathroom, a coffee maker etc. The hotel is located near a shopping area. The famous China Town is easily accessed from the Ibis Pattaya as it is located just opposite from the hotel. Other popular nearby places are the Beach Road, Central Marina etc. In one line we can say, the location of the hotel is just superb. Another one of the most beautiful budget hotels in Pattaya. The guest house is situated right opposite the gay beach. So, if you visit Pattaya for a beach holiday, no one can beat this place. From roof you can easily watch the people walking at the walking street and the sea. During night time you can even hear soft sound of sea from your room. All rooms are spacious and very clean. Their restaurant also offers a wide range of foods at a very reasonable price. Jasmine hotel is a great choice for budget stay in Pattaya. If you are looking for a cheap, great place next to walking street, this is the place for you. The hotel has 63 rooms over 5 floors and is kept spotlessly clean. All rooms of the hotel are nicely furnished and clean are well equipped with modern facilities like AC, flat screen TV and Locker. My personal favorite. Whenever I visit Pattaya this is the only place I choose to stay. This is an excellent venue to stay in Pattaya for a budget price. The Sun Xclusive Hotel is located very close to the famous Walking Street. The staff are also polite and kind. There are four options for accommodation within this hotel, including Superior Room, Deluxe Room, Family Garden Suite and Family Two Bedrooms Suite. Rooftop swimming pool is there on 8th floor. Areca lodge is located near LK Metro entertainment district, a 5 min walk able distance from the beach road. This is a large hotel and is split in to two sections. Rooms are quite large and clean but old fashioned. It has two lovely swimming pools and two restaurants for breakfast, launch and dinner.